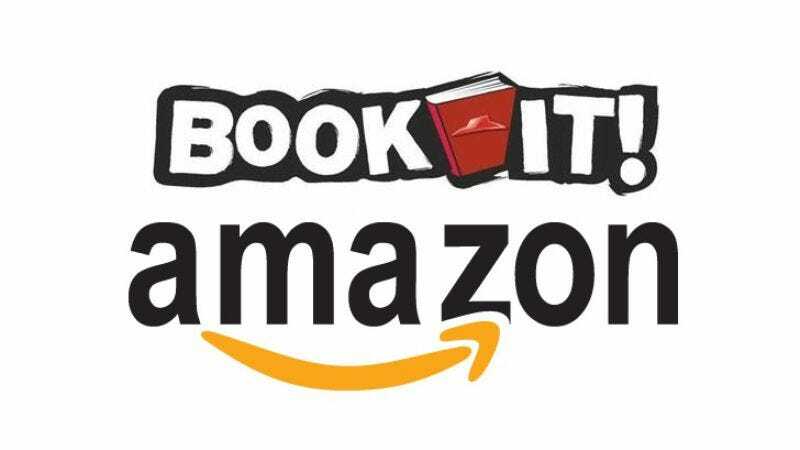 Amazon teams up with Pizza Hut’s pages-for-pepperoni program Book It! Amazon’s also commemorating this year’s Book It! launch by offering discounted prices on children’s literature, the better to trick kids into spending their time clutching Kindles, instead of something that would make them seem fit or cool, like footballs or cigarettes. Discounted titles include Arthur’s New Puppy, Ralph Tells A Story, and The Blood Guard, all of which are going to be pretty hard to read through the haze of pepperoni slime spreading like an obesity epidemic across your kids’ grease-stained Kindle. Book It! is also supported with a smartphone or tablet app, allowing children to pick a virtual dragon companion to read alongside them, because apparently we’re raising an entire generation of dodgeball-hating, big vocabulary-having fantasy dorks, and everybody’s just fine with that. You can read more about the Book It! program, including the free books being offered, here.